Dirt Digits backgrounds are made from high-quality18-mil motocross grade materials and feature a high-gloss surface and ultra sticky adhesive. 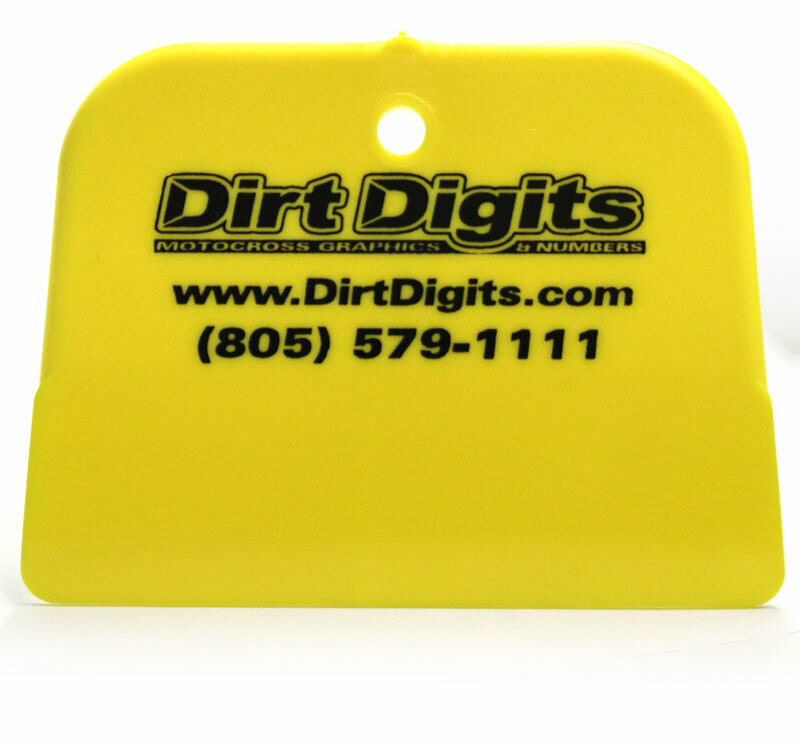 When you buy Dirt Digits you are purchasing the best quality available. Print quality: We DO NOT print with an inkjet printer which means our colors are deeper, brighter, and do not have banding marks like some inkjet prints. We are able to print metallic colors and in some case layer colors to produce metallic "Candy" shades such as in our YZ Pro-Unlimited kits. Cut quality: Our graphics are shipped with a "Through Die-cut" which means your graphics are individual decals and not on a loose liner with hand trimmed edges. Click the customize button to modify the options of your backgrounds. 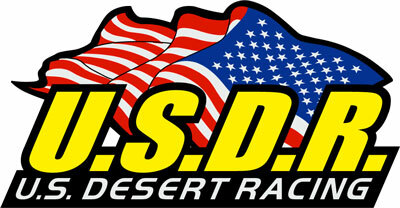 Note: Images may differ from the actual current logos/series sponsor branding. We make an attempt to stay current with the appropriate logos used for the current season. For any past season series logos please make a note in the order comments section during checkout. Please note: Neon/Fluorescent colors will fade with sunlight. 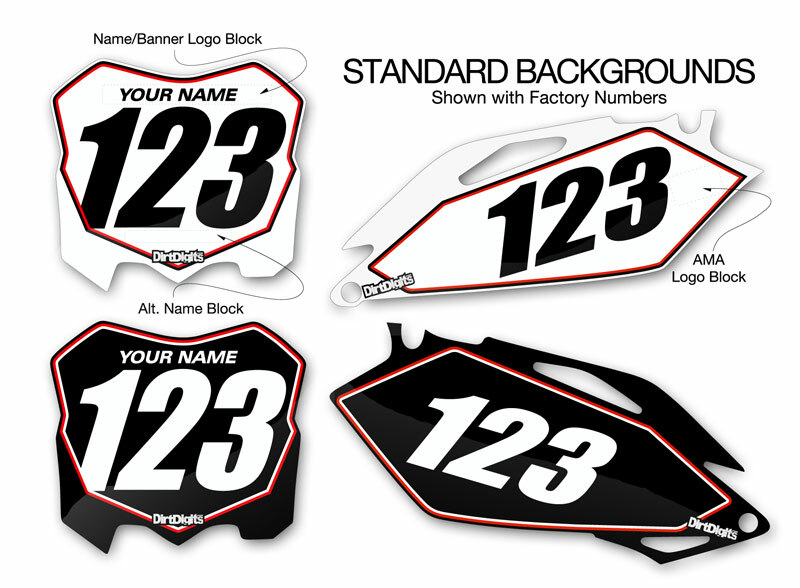 All orders include two free mini front plates or hub decals. If you order a 10 pack you will also receive your two free decals in addition to your order. 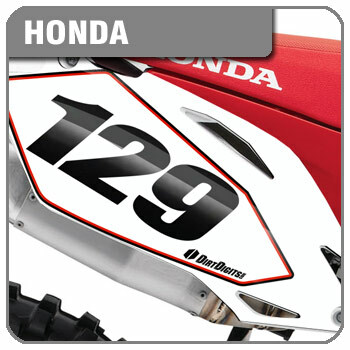 Add Polisport number plates to your order and we will mount your preprinted backgrounds for free. Polisport plastics are a quality made and affordable alternative to OEM plastics. Order all three plates for only $59.95. You have 6 characters left. Do not use HTML. You have 25 characters left. Do not use HTML.